Experience living by the sea. Reconnect over a wine looking out to sea at sunset. If you love long walks by the sea, Shutters is right on the Coastal Walk with captivating views to the Kiama light house. 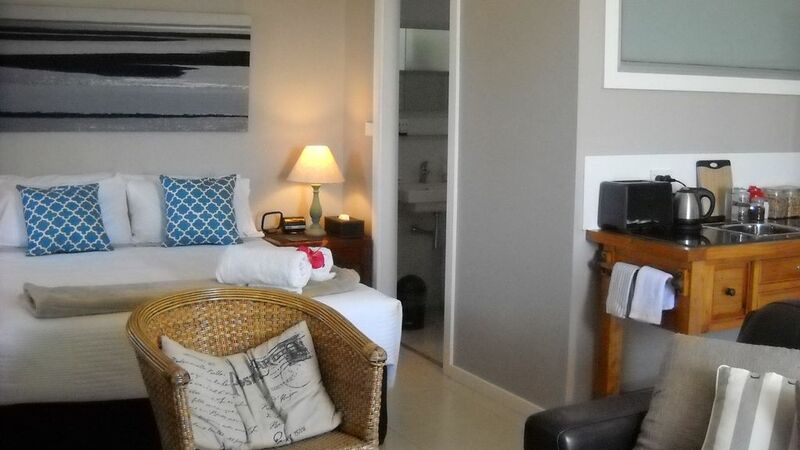 Nestled near the Little Blowhole with reverse cycle aircon/heating for year round comfort. (In winter light the fire!). Why book a hotel when you can live like a local! All this within 4 minutes drive to the downtown shops and scrummy eateries and 5 minutes easy walk to the beach. A continental breakfast hamper is available (fee applies) and complimentary bubbles are tucked away in the fridge ready for you to enjoy. Enjoy your breakfast on the deck and in the evenings, cosy up by the fire for a movie marathon on Foxtel. Slip down to the beach for a swim. Your own private entry. Come and go as you please. With spiral stairs this is not suitable for the mobility impaired and children. Weekend rate is for Friday/Saturday and Saturday/Sunday nights. Weekly bookings available. Saturday to Saturday bookings extra fees apply. Ask about our great rates. Visit us at shutterskiama. With lovely views to the north past the Light House across Storm Bay, you will love the Little Blowhole around the corner. A continental breakfast hamper is available for an extra $30. Thank you so much!! I am so pleased you enjoyed your with us at Shutters by the Sea. We hope you travel to Kiama again soon and let us know when you are coming so we can reserve the room for you. Beautiful studio, so clean and tidy. Super thoughtful and beautifully presented. Really close to the little blow hole, which was a nice early morning walk. Lovely quite street. Thank you for choosing Shutters by the Sea. We are delighted that you enjoyed your stay and look forward to having you as a guest again soon. Nightly recommend this place for couple to stay over night. Walk distance to little blowhole and a few minutes drive to downtown. Stunning view for you to just sitting at balcony with a cup of tea to start the morning . Very lovely and comfy . Thank you Xu for taking the time to post this review. We look forward to seeing you again soon. This studio was everything we were looking for in a holiday apartment and more. The room was well equipped and spacious/functional at the same time. There are entrances to the beach literally down the road, as well as cafes on the next street and a variety of restaurants all in close distance (with a fine dining restaurant only 5 minutes away). The host, Marilyn, greeted us with genuine friendliness and left us to enjoy ourselves. I would encourage all who are booking in Kiama to go through with this apartment with no hesitation as the end result is immensely satisfying. Thanks again Marilyn! We had a great stay, lovely walks around the cliffs and nice restaurants in town. Great for a 2 night stay a bit small for more than that if 2 people. Shutters By The Sea provided us with beautiful over night accommodation. The modern studio is well located with a view across to the light house from the balcony where we enjoyed the welcome champagne (lovely touch along with the breakfast basket). We thoroughly enjoyed our stay, the only downfall being the weak shower pressure.